Feedback: What do we know? What do we do? Provide feedback that clearly and explicitly identifies what needs to be improved in order to move learners forward and promote students’ understanding of concepts. To best meet students’ immediate learning needs, teachers should use this evidence to adapt instruction in real time. Assessment should provide teachers with knowledge to design their instructional activities and provide students with knowledge about achieving learning goals. 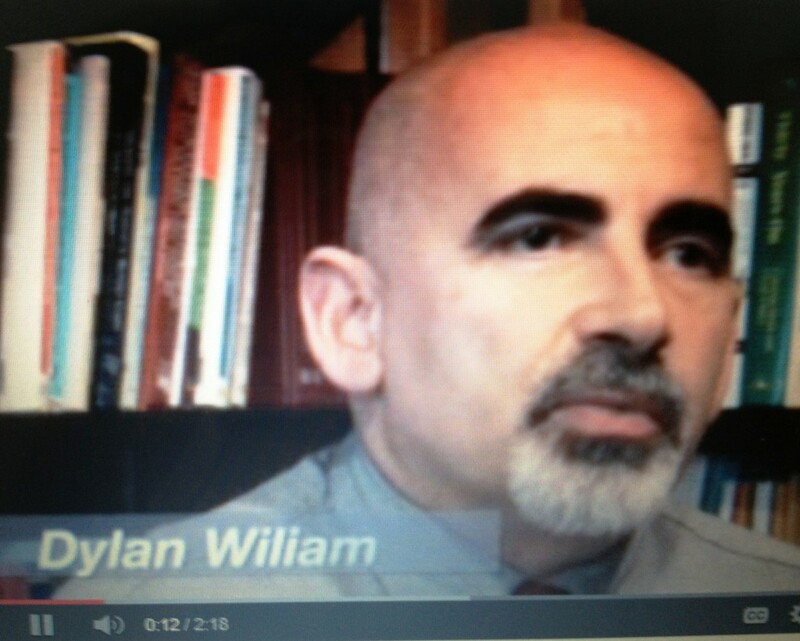 As I considered Wiliam’s image of assessment being the bridge I added my thoughts about feedback. In an APA report, Using Classroom Data to Give Systematic Feedback to Students to Improve Learning, I found the following quote on feedback. Although providing feedback is a necessary first step, an assessment only becomes formative when the information fed back to the learner is used by the learner to improve future performance. 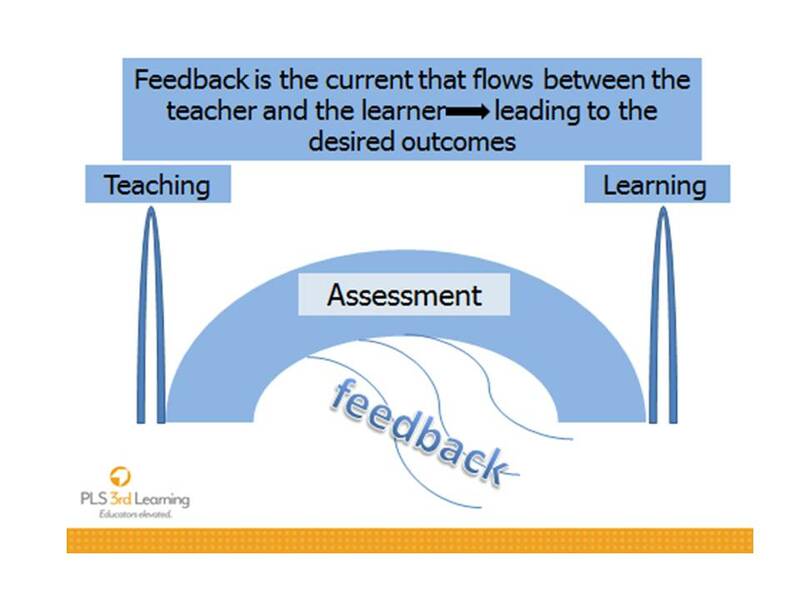 Therefore only feedback that is potentially useful to the learner is formative. 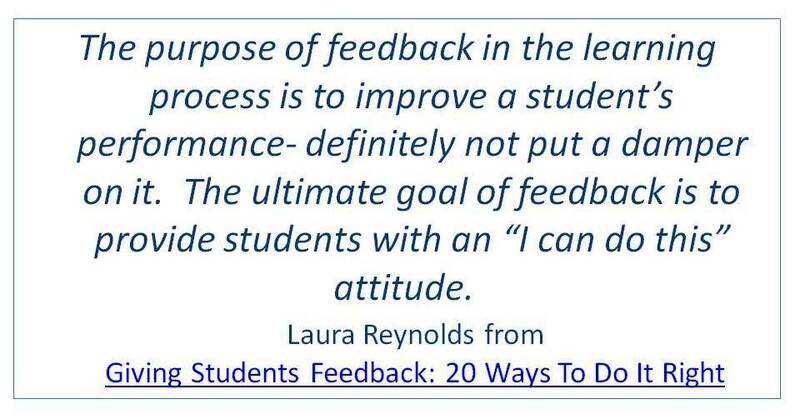 Teaching students how to use feedback provides them an important learning strategy. A student guide to using feedback is available here. At PLS3rdlearning (Designing Motivation for All Learners), we use the phrase “feedforward” to describe information provided to a learner that impacts the future, their next attempt….a key coaching strategy in sports or performing arts. Often evaluation of a performance is of little value to the performer unless it can be translated into feedforward. This is an important piece for leaders who are coaching or mentoring teachers. The reason that teacher evaluation has often had no positive impact on teacher performance is that few teachers could translate the evaluation into feedforward knowledge. I was wondering if you think these concepts could be flipped and then applied to teacher evaluation–with evaluation being the bridge between coaching and teaching. Or, in the case of principal evaluation, evaluation being the bridge between coaching and leading. I might be stretching this a bit, but I am reading and thinking about all of this in light of something I am working on where the script is REALLY flipped–instructional coaches mentoring the growth of principals in content-specific, instructional leadership. Can the feedforward given by these coaches to principals be the key factor in helping them grow as literacy and math leaders in their schools? I welcome your thoughts.